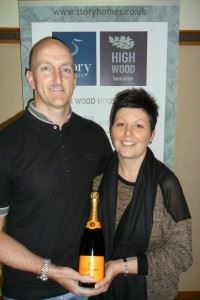 First sales at High Wood revealed! We kept it a closely guarded secret, ensuring that we gave our mailing list an exclusive opportunity………..this week we held a launch event for High Wood! Customers on our mailing were invited along to Lancaster House Hotel to find out more about the development and the opportunity to speak to one of our sales advisers. As well as site plans, house types and layouts, imagery, specification, availability and prices, customers were able to find out more about what sets Story Homes apart from other house builders. Many of the customers had already visited one of our developments nearby and eagerly snapped up the first houses on High Wood. 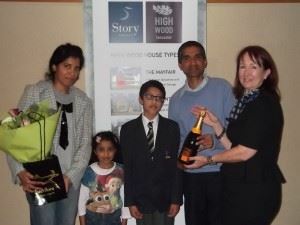 We would like to congratulate Mr Murthy and his family, the buyers of plot 15, a grand five bedroom detached ‘Mayfair’ house. Also, congratulations to Brett and Karen Fletcher, buyers of plot 14, a stunning four bedroom detached ‘Warwick’ house. The development has now been advertised throughout the local press and full information is on our website. A second launch event, open to everybody who would like to attend, will be held at Lancaster House Hotel on Thursday, Friday and Saturday 3rd – 5th October 11am until 6pm. See you there!